Leona (Lee) Marceil (Blower) Hanna, 92 passed away peacefully on September 12, 2018. A celebration of Lee's life will be held at Prineville Christian Church at 1685 Lynn Blvd where she was a long time member. (Dates and times to be announced). Leona was born to Cecil and Nancy (Ralston) Blower on June 9, 1926 in Toledo , OR. She graduated for Toledo High school in 1944 and attended Northwest Christian College in Eugene for one year. Lee married the love of her life , Donald Lee Hanna, at NCC in April of 1949. Lee worked as a clerk for several years at Ochoco Hardware and for many years on the family ranch in Powell Butte. 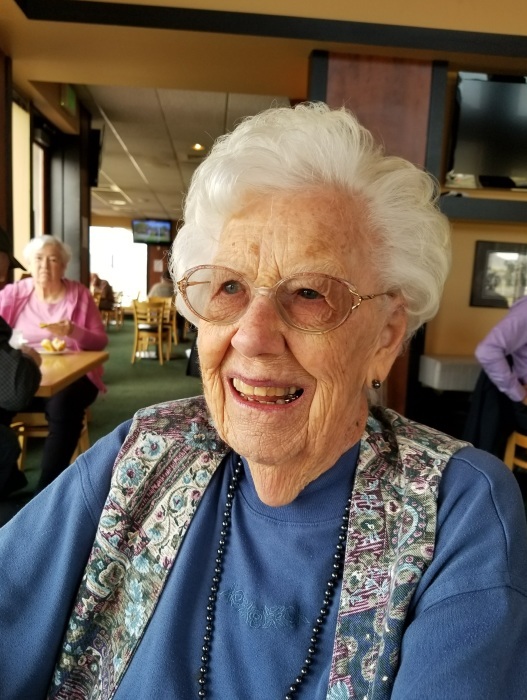 She is survived by her sons Glenn (Amy), Powell Butte; Robert (Julie) Keizer and daughter Debbie (Frank) Loyd of Aumsville; 7 grand children and 10 great grandchildren and her sister Kay Brown of Waldport, along with numerous nieces, nephews and friends. Lee was preceded in death by her husband Don, her parents and brothers Russ, Bob, and Bill. Memorial Contributions can be made to Prineville Community Church.